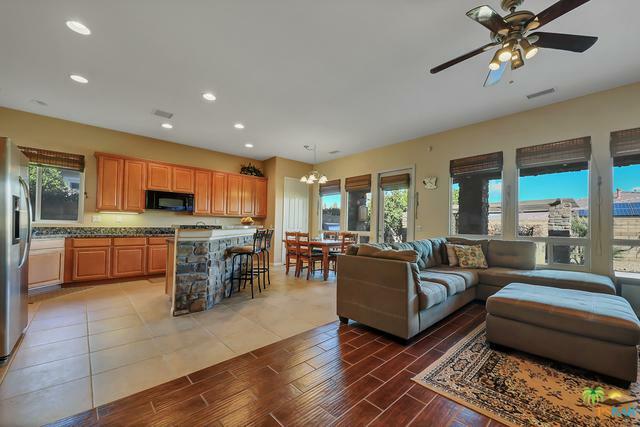 Welcome to this HIGHLY upgraded home in one of Rancho Mirage's finest communities. Enter through the Finished Courtyard and be Amazed at the beautiful Arched Stonework as you pass throughout this gorgeous home!! The Great Room highlights a spacious kitchen with banks of maple cabinetry with pull outs, Slab Granite counter tops, and an Island with a 2nd sink. 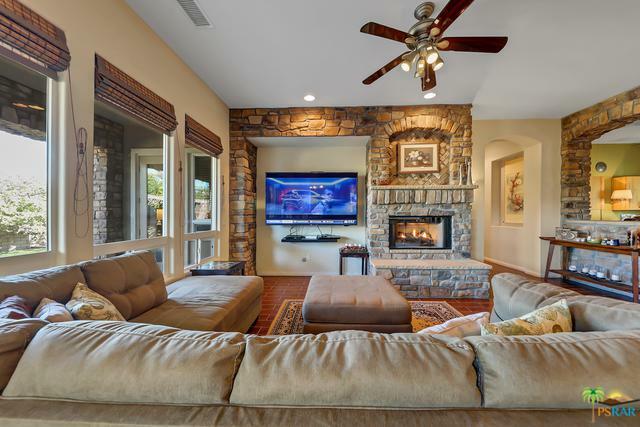 Spacious dinning area and living room with custom stone fireplace/hearth and room for an extra large TV. 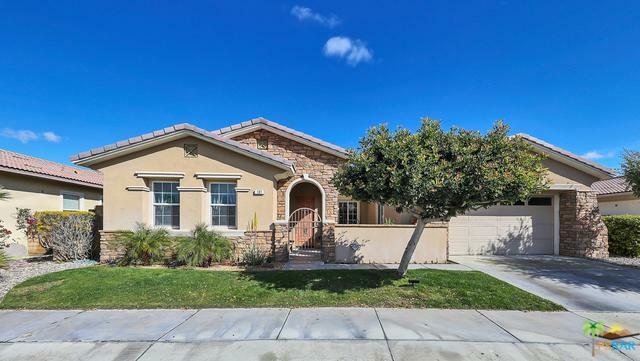 RARE find - This home has a Casita like room in the front (2nd master en suite), plus a Huge Master Suite w Large Walk-In closet. Soaring 10' Ceilings, Custom Paint and over $$$$69,000 in UPGRADES! The Extended Patio features a built in Stainless Steel BBQ and Natural Stone Island. Enjoy evenings by your Stone Fire Pit with Major Seating and a Wall like WATERFALL!! 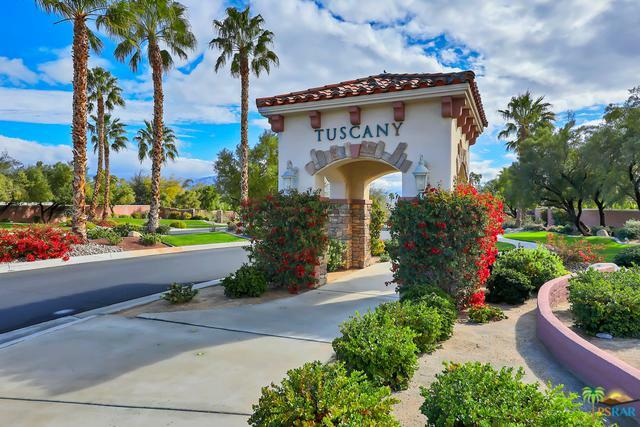 PRIME Location within Tuscany's wonderful community with Super Low HOA's, PRIVATE Dog Park, Community Pool & Spa with Sauna, Playground and Greenbelts. Listing provided courtesy of Kathleen Mueller of Showcase Homes, Inc..
©2019 California Desert Association of Realtors. All rights reserved. IDX information is provided exclusively for consumers' personal, non-commercial use and may not be used for any purpose other than to identify prospective properties consumers may be interested in purchasing. Information is deemed reliable but is not guaranteed accurate by the MLS or The Sandi Phillips Team | HK Lane. Based on information from the California Desert Association of Realtors as of 2019-04-18T11:37:47.133. All data, including all measurements and calculations of area, is obtained from various sources and has not been, and will not be, verified by broker of MLS. All information should be independently reviewed and verified for accuracy. Properties may or may not be listing by the office/agent presenting the information.